The Evangelistic Task -Go into all the world and make disciples of all nations, baptizing them in the name of the Father, the Son and the Holy Spirit. “All the world”… quite a calling! These are Jesus’ words to us who value His opinion. The chart below represents all the world, for all time. Everyone lies somewhere within this chart. It is the realm of our spirits, that part of us which can connect in a relationship with God. Neither the knowledge of God nor a zeal for God can bring us into a meaningful relationship with Him and the eternal fellowship that exists in Him. Where are you? Jesus said, the Father and I are one. If you know me, you know the Father. Follow me! As followers of Jesus, our task is to move oneself, and encourage others to follow, from whatever quadrant we exist within, to the place of being both knowledgeable of and zealous for our relationship with God. The less knowledge we have of God, the more we’ll fear Him, and apathy lacks the intimacy of meaningful love. But perfect love casts out fear. A relationship with God requires both knowledge and zeal. 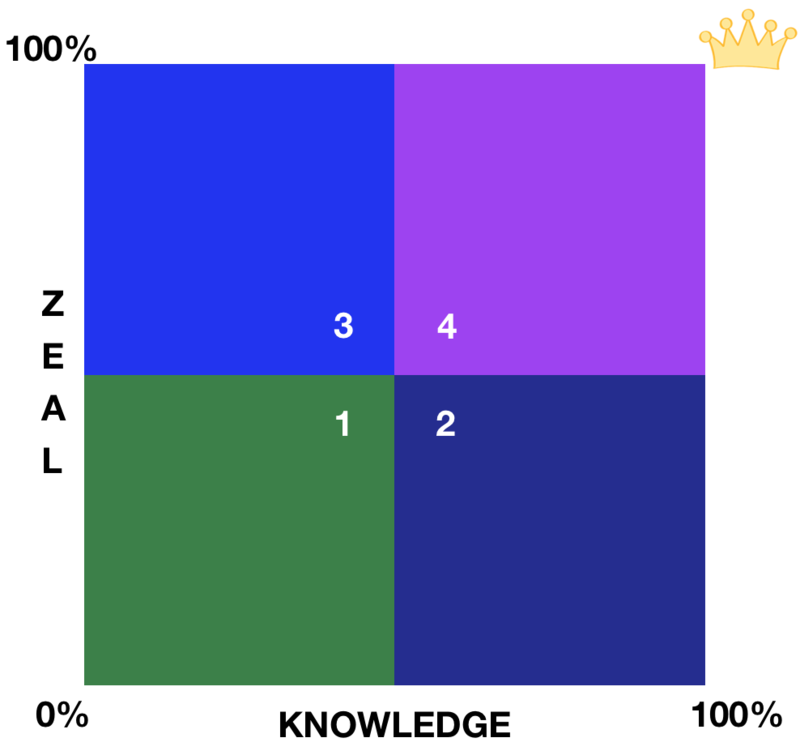 Most people from western communities fall into quadrants one and two. The amaZioni exist in quadrant three. 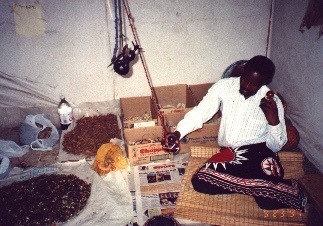 With little knowledge and much zeal, they place their hope in traditional animistic practices to appease ancestors who may be angry, hoping for unity in the spiritual realm. Christians are being sanctified-changed, by God’s Spirit, and moving from wherever is their starting point, through quadrant four toward meaningful intimacy with God. The sanctifying work of God’s Spirit increases our zeal and understanding. One day, all fears cast aside, we will be reunited with our King. We’ll know God our Creator, just as He fully knows and understands us. 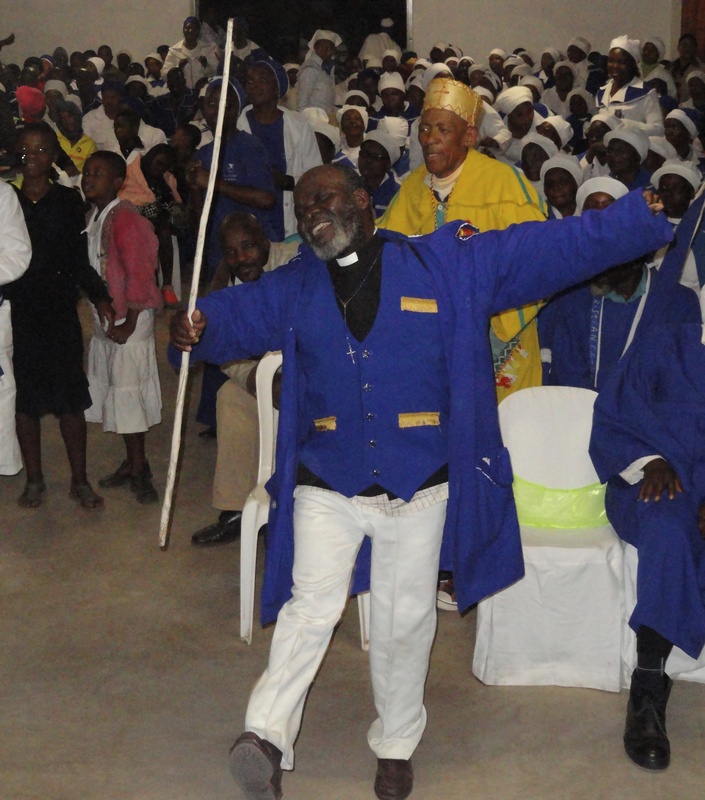 The task of evangelism with the amaZioni of Southern Africa is to introduce them to the God they are already zealous for and show them from His Word that because of His love for them, they can be free from the fear that motivates the animistic practices of their religion, frequently holding them in cycles of poverty.